From cinematographer turned director Nam Nai Choi (best known for The Seventh Curse and The Story of Ricky) 1983's Men From The Gutter is a highly stylised yet seriously gritty roller coaster ride featuring cops, robbers, Triads and one of the most seemingly indestructible hitmen in cinema history. 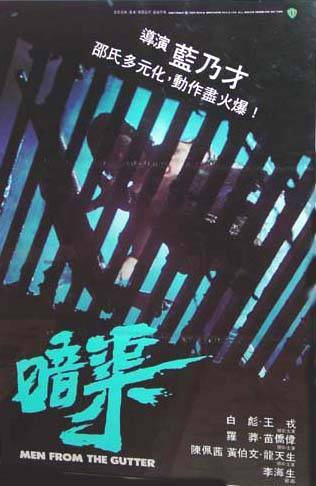 A Shaw Brothers production that tried to give the ailing production house a more contemporary edge, it did, and in spades! A hitman (Jason Pai) comes back to Hong Kong looking to take revenge against a Triad drug lord (Wong Yung) and his associates. The same Triad boss is being investigated by the police with level headed cop Qiu (Miu Kiu Wai) struggling to keep the volatile Zhao (Lo Meng) in check and within the law. 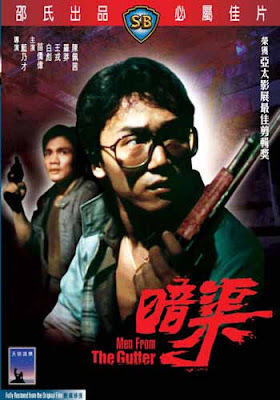 A situation further complicated when Tai (Parkman Wong) the leader of a gang of robbers, kills a cop escaping from a chance encounter. Tai, along with girlfriend Lily (Chen Pei Hsi), Ah Long (Lung Tin Sang) and Brainless (Billy Lau) are planning to rob a jewellery truck, looking to escape the slums of Hong Kong. 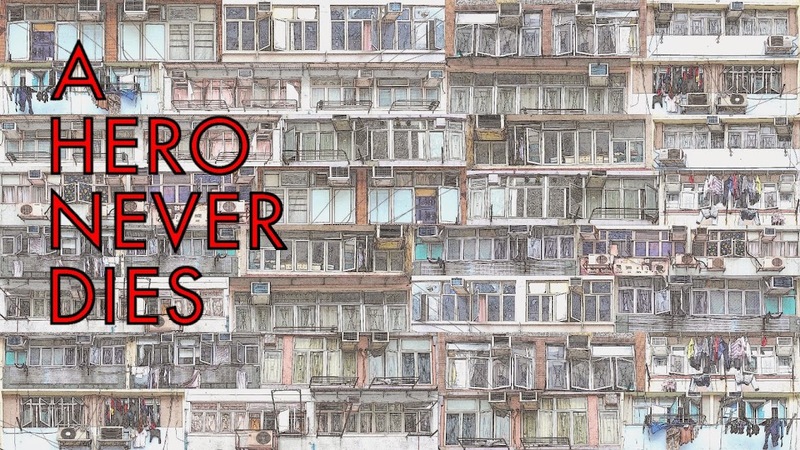 Zhao is desperate to catch the cop killer and becomes increasingly frustrated by the lack of progress, becoming more and more reckless in pursuit of both cases, leaving Qiu trying to keep him in check. With the hitman getting closer and closer to his target, the cops are drawn into protecting the very Triad they are trying to catch themselves. First things first, I absolutely loved Men From The Gutter. After raving about Long Arm Of The Law, I was hoping this film would be somewhere near as good. 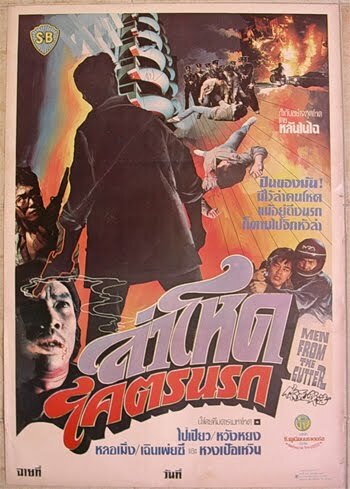 Made the year before Long Arm, Nam Nai Choi's film is less polished in a dramatic sense but features more action and stunt work than Johnny Mak's masterwork. Much like that film I found some of the performances a little crude although still undeniably effective, also similar between the two films are the powerful heavy synth scores, this one sounds excellent. While it isn't as great as Mak's film is, it's an excellent genre film, and it's become an instant favourite of mine. 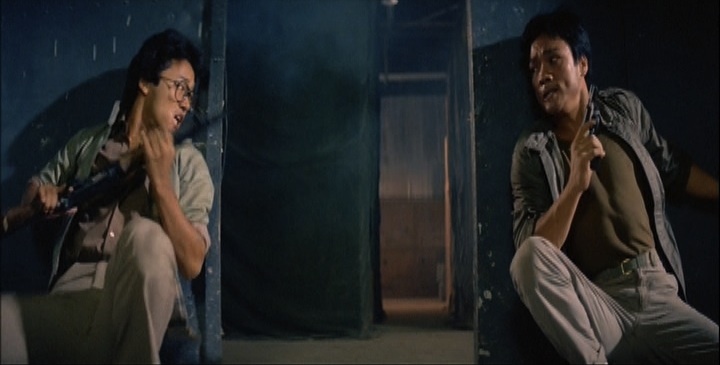 Nam Nai Choi maintains a sombre tone throughout his film, not resorting to cheap comic relief in the way so many Hong Kong movies do and it pays dividends for him. It gives the film a sharp edge that carries all the way through to the incredible twenty minute action set piece that ends the movie. 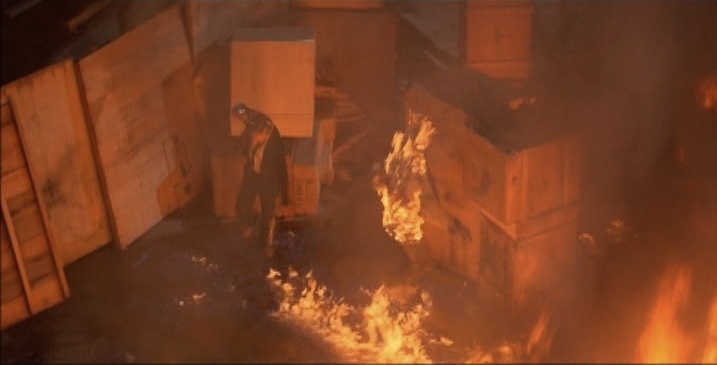 This sequence features some knockout stuntwork, and Jason Pai apparently did the majority of his own stunts, making it all the more impressive. The film is not without some dark humour, although arguably some of it could be seen as unintentional, such as the new sport it invents, full contact squash, which has to be seen to be believed. The fashions, and in particular the eye wear are also often amusing but this takes nothing away from the core strength of the film, which is gritty violence! I found Men From The Gutter to be quite deceptive, from the beginning of the movie the plot feels as though it is taking you in one direction but then takes a different path. It's melodramatic in places but as the film has excess is in just about all areas, it's actually quite well balanced as a whole. As well as directing Men From The Gutter, Nam Nai Choi was also responsible for the excellent cinematography on display, utilising the scope frame to great effect and the stylisation mentioned earlier is quite surprising, as unusually for a gritty crime drama/action film, it features plenty of bold lighting and colour, creating a real contrast with the brutality on display. A superb crime/action film, and one that should certainly have a higher profile than it currently does. While the screenplay features just about every cliche going in the genre, everything is done with such conviction and sincerity I found it easy to be swept along with it all. In addition the brutal, up close and personal style violence makes the viewer feel every blow, stab and shot taken. Previous to seeing Men From The Gutter I had found the work of Nam Nai Choi to be highly entertaining but those films didn't prepare me for the qualities I found in Men From The Gutter, qualities which appeal to every single one of my film loving sensibilities and made me love and savour every moment of this movie. See it! The IVL region 3 dvd of Men From The Gutter is still available to buy, and considering the film's low budget nature and vintage, features a strong anamorphic 2.35:1 image which really highlights the film's strong colour palate. The mono audio is strong too, adding quite impressive depth to the excellent synth heavy score. Buy it! I haven't seen this, Hero, but will order immediately based on your recommendation. It's not perfect Mark but I loved every single second of it. I understand, but I like this director a lot, too. Thanks for highlighting this, Hero. Great review! This was a solid crime thriller. Our review is dropping on November 16th. Hey. It never dropped on that date. Haha. Here's the real date, (After two years, Haha) September 26th.